Who is buying into AYO? The transaction that was the justification for the Public Investment Corporation’s (PIC’s) controversial R4.3 billion investment into Ayo Technology Solutions has seemingly run into a brick wall. This is despite the transaction involving a parent company selling an asset to its subsidiary while a majority of other shareholders are in favour of it. Ayo listed on the JSE in December with a massive R4.3 billion capital injection from the PIC. The main use of this money was supposed to be Ayo paying its parent company African Equity Empowerment Investments (AEEI) R1 billion to take over its 30% stake in British Telecoms SA (BTSA). A subscription agreement between AEEI and Ayo for the transfer of the BTSA stake, however, “lapsed” this week, according to an announcement by Ayo on the JSE’s Stock Exchange News Service. 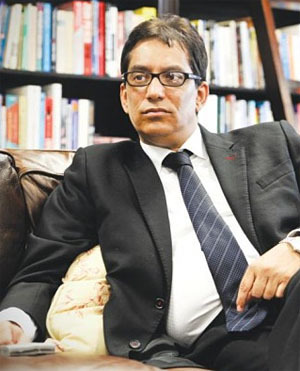 Both AEEI and Ayo are ultimately controlled by media mogul Iqbal Survé’s Sekunjalo Investment Holdings. When the subscription agreement was announced in May, there were three suspensive conditions that had to be met within 60 days. The first was that the board of the company through which AEEI owns the 30% in BTSA, Kilomax, had to approve the deal. That is unlikely to have been a hiccup as the board of Kilomax consists of AEEI chief executive Khalid Abdulla and Survé. The second condition was that BTSA also agree to the deal. The five-member board of BTSA once again includes Abdulla and Survé as well as another AEEI director Chantelle Ah Sing. This approval nonetheless seems to have caused the agreement to lapse. Ayo CEO Kevin Hardy confirmed by email that they could not sort out these two conditions in time. Hardy said that Ayo’s JSE sponsor, PSG, had already gone to the JSE to request an extension before this week’s announcement. This was granted, he said. “That will now allow all parties concerned the appropriate period in which to consider all aspects of the proposed transaction,” said Hardy. The BTSA deal has been in the works since at least December, making it unclear why the parties involved, who are all related parties, still require time to consider it. The last suspensive condition is that other shareholders of Ayo, excluding AEEI, have to approve the deal. This is due to section 10.4 of the JSE Listings Requirements dealing with related party transactions. The rule is that a “simple majority” of shareholders who are not related parties have to approve a related party transaction deal. In Ayo’s case this means that only the PIC has to agree. That seems like a foregone conclusion as the BTSA deal was the whole reason the PIC invested in Ayo to begin with. Hardy said “all parties to the agreement have acknowledged that the proposed 60-day period was perhaps a little ambitious to have all the required components in place”. “The simple truth of the matter is that ensuring that all governance processes and conditions are met has taken longer than foreseen. We are dealing with a number of boards and people in different countries,” said Hardy. When Ayo went to the PIC for money last year, the sales pitch largely revolved around the BTSA stake. An internal PIC memo in City Press’ possession details the business case laid out for the PIC’s portfolio management committee for listed investments in December. Ayo came to the PIC “in order to acquire BT and aggressively grow its business”, reads the memo. Apart from the R1 billion that would go to AEEI for the BTSA stake, the PIC money would be used to “fund the roll-out of the BT strategic relationship”. The PIC paid R43 per share for 29% of Ayo. Those shares are now worth R25 each on the JSE after losing 42% of their value. That’s a R1.8 billion loss for public sector pensioners. The PIC had initially approved its investment in Ayo with the caveat that it needed insurance in the form of a put option – a contract allowing it to sell back its shares at a pre-agreed price. This demand was seemingly waived, which has cost the PIC dearly.